Put your feet up, and send a clear message to anyone who dares approach: Do. Not. Disturb. 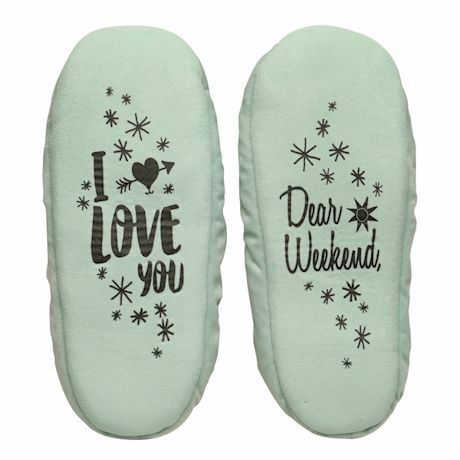 Just the thing for hardworking feet and the humans attached to them, these slippers are ridiculously plush, inside and out, and have rugged printing on the soles. Polyester. Imported. Women's S(5-6), M(7-8), L(9-10) and XL(10½+).